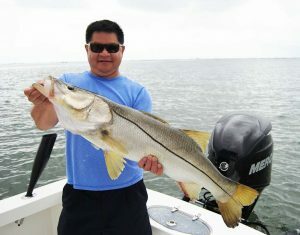 Offering full and half day guided Tampa fishing charters in Tampa and Tampa Bay. Join Captain Will aboard his custom built 25′ Pathfinder, designed to safely, quickly, and smoothly traverse the waters of Tampa Bay. This is the perfect platform for anglers of all skill levels to stalk, fight, and catch all of the various gamefish that Tampa Bay has to offer. Which means you are going to have an awesome time! To ensure that you are able to fish on the dates you’d like, please reserve your charter well in advance! I grew up here in Tampa, and I have a passion for fishing. If anyone was ever looking for me the first place they’d check was to see if my boat was gone, so I guess it came as no surprise to my friends that I decided to become a fishing charter captain. And now I’d like to share my enthusiasm, and the excitement of stalking and catching fish with you. Oh, it’s addictive… Starting with Snook! They’re sleek, crafty, and fast. And always up for a blistering fight. Now follow that up with some Redfish action… They’re so tough and challenging there is actually a fishing tour dedicated to them. That’s just the start because we also have many other saltwater species of fish, and you can bet there isn’t a single one of them that will give up easy… Oh, yes, get a good night’s sleep because your in for it now! Although our year-round fishing encompasses every one of the major species of inshore game fish that are sought out by tropical anglers. There is one species that rises above them all (literally, LOL)… Tarpon! The “silver king”, often running in excess of 100 pounds, unmatched in their ability to carry on a sustained battle that’ll make your arms feel like they’re going to fall off. Their fury and power is unmatched by any inshore species, and we’re going fishing for them! Contact me for additional specifics, like best time of year, if you’d like to target Tarpon on your fishing charter. If you’re thinking of going on a Tampa fishing charter, you’ve come to the right place! Let me tell you a little more about what we have in store for you… Tampa Bay is a large natural harbor, and shallow estuary, covering over 400 sq/mi. 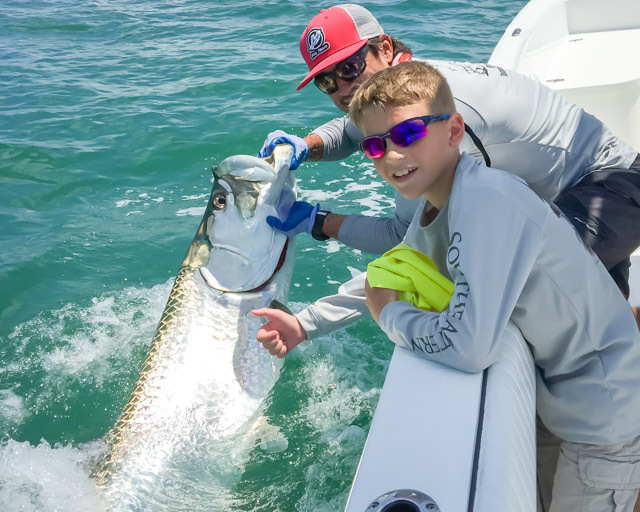 It is directly connected to the Gulf of Mexico, and home to a plethora of fish species, including Snook, Tarpon, Redfish, Grouper, Snapper, plus too many others to count. 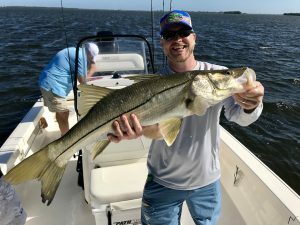 This is why the Tampa area has gained notoriety among anglers as one of the hottest light tackle fishing spots in Florida. 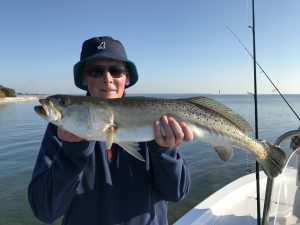 You can travel just a few miles across the water, and enter into a completely different ecosystem, ranging from deep blue water, to lush shallow flats, thus making our area one of the most diverse and versatile fishing locations in the USA. Most days I’m out on the water, fishing with customers, but it never hurts to try to call, I’m often able to talk for a few minutes. If by chance you get voicemail, just leave a message, and I promise to return your call as soon as I’m able.